Mechelle Moser from Farmington Hills, Michigan!!! Congrats to Mechelle! 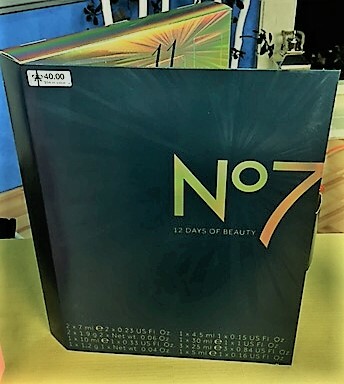 Mechelle wins the awesome Boots No 7 Seven Days of Beauty Advent Calendar beauty kit that I showed in my recent 3TV segment about beauty picks that make great gifts! This cool kit opens one flap a day to unveil a wonderful beauty product! Some of the surprise items inside include mascara, eye shadow, lip gloss, primer, brow stuff and more. Such a fun gift to give and receive or Mechelle can keep it for herself and enjoy a surprise beauty product 12 days in a row! Just love this! Congrats to Mechelle for winning! And thank you so much to subscribing to this blog. And we will have more great prizes next week, so stay tuned for that and become a subscriber to be automatically entered in the weekly drawing that we do through random.org! If you are not a subscriber, subscribe now at www.managedmoms.com. Simply subscribe to the website by filling out the area in the right-hand column that says “subscribe to managedmoms.com.” Being a subscriber means that you simply get a notification email each time we run a recipe, article, beauty tip, coupon and more. 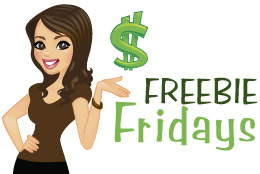 We don’t share your email address with anyone and you are automatically entered in the weekly Freebie Friday drawing for your chance to win a cool prizes. Join our free managedmoms.com email subscriber list to stay up to date on healthy family friendly recipes, beauty news, travel tips, parenting talk and more.